CANVAS lacquer: CANVAS the City Fall/Winter Previews! CANVAS the City Fall/Winter Previews! We have been brainstorming/working like crazy and will be restocking sold out shades and releasing new shades very soon! Here's a sneak peek at two shades for Fall/Winter. Harbourfront Skate Night is our first black and our first flakie lacquer! 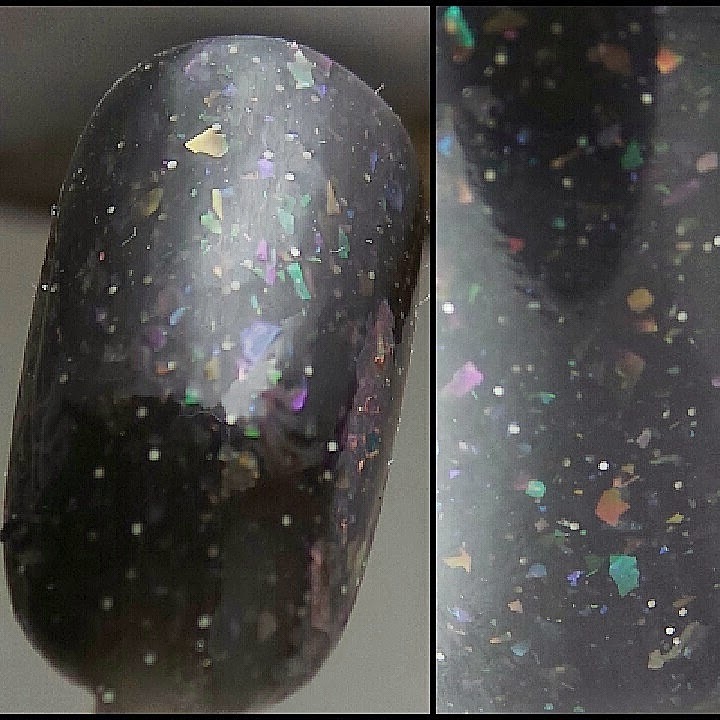 There's a ton of subtly shifting flakies of all shades, and just a hint of white microglitter - like the reflection of stars on the black ice! We are so in love with this for winter. Next we have an awesome glitter topper. This is Yorkville Splurge - a unique combination of matte white and blue hexes, copper hexes, rose gold squares and a good dose of holo dust. We've layered it over a smokey grey that we're working on (more on that to come!) and then over plain black. Treat yo'self to this one! Rather than releasing all 6 shades at once we will be trickling them out. Nuit Blanche All Nighter was the first release and is available here. Look out for tons more stuff from us soon!